June 18, 2014 (Tony Cartalucci - NEO) - When a fire is raging, firefighters are called - not the arsonist who started it, especially if they return to the scene of the crime dragging a barrel of gasoline behind them. 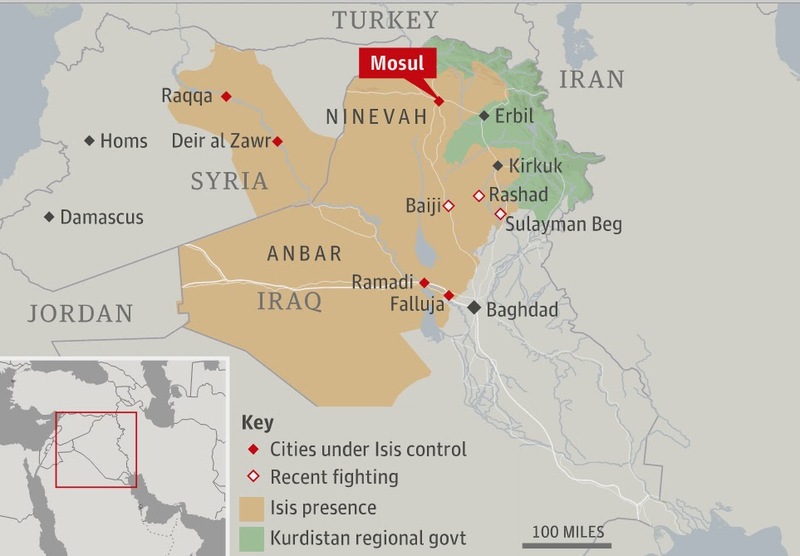 Yet, this is precisely what the US proposes - that they - the geopolitical arsonists - be allowed to return to Iraq to extinguish the threat of heavily armed sectarian militants streaming from NATO territory in Turkey and edging ever closer to Baghdad. The 9 page, extensive report has since been vindicated many times over with revelations of US, NATO, and Persian Gulf complicity in raising armies of extremists within Libya and along Syria's borders. ISIS itself, which is claimed to occupy a region stretching from northeastern Syria and across northern and western Iraq, has operated all along Turkey's border with Syria, "coincidentally" where the US CIA has conducted years of "monitoring" and arming of "moderate" groups. In fact, the US admits it has armed, funded, and equipped "moderates" to the tune of hundreds of millions of dollars. In a March 2013 Telegraph article titled, "US and Europe in 'major airlift of arms to Syrian rebels through Zagreb'," it was reported that a single program included 3,000 tons of weapons sent in 75 planeloads paid for by Saudi Arabia at the bidding of the United States. 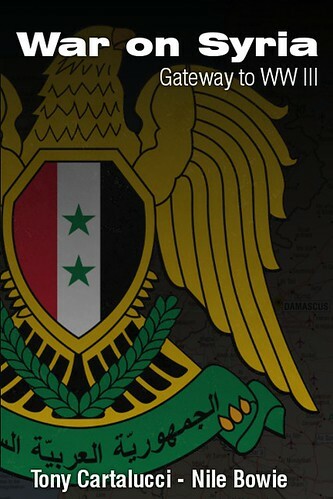 The New York Times in its article, "Arms Airlift to Syria Rebels Expands, With C.I.A. Aid," admits that the CIA assisted Arab governments and Turkey with military aid to terrorists fighting in Syria constituting hundreds of airlifts landing in both Jordan and Turkey. The vast scale of US, NATO, and Arab aid to terrorists fighting in Syria leaves no doubt that the conspiracy described by Hersh in 2007 was carried out in earnest, and that the reason Al Qaeda groups such as Al Nusra and ISIS displaced so-called "moderates," was because such "moderates" never existed in any significant manner to begin with. 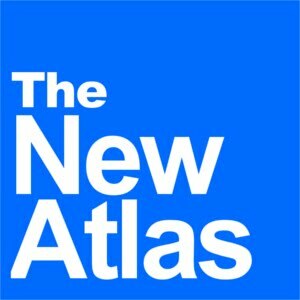 While articles like the Daily Beast's "America's Allies Are Funding ISIS" now try to portray a divide between US and Persian Gulf foreign policy, from Hersh's 2007 article and all throughout the past 3 years in Libya and Syria, the goal of raising an army in the name of Al Qaeda has been clearly shared and demonstrably pursued by both the US and its regional partners. The plan, from the beginning, was to raise an extremist expeditionary force to trigger a regional sectarian bloodbath - a bloodbath now raging across multiple borders and set to expand further if decisive action is not taken. Despite an open conspiracy to drown the region in sectarian strife, the US now poses as a stakeholder in Iraq's stability. Having armed, funded, and assisted ISIS into existence and into northern Iraq itself, the idea of America "intervening" to stop ISIS is comparable to an arsonist extinguishing his fire with more gasoline. Reviled across the region, any government - be it in Baghdad, Tehran, or Damascus - that allies itself with the US will be immediately tainted in the minds of forces forming along both sides of this artificially created but growing sectarian divide. Iran's mere consideration of joint-operations with the US can strategically hobble any meaningful attempts on the ground to stop ISIS from establishing itself in Iraq and using Iraqi territory to launch attacks against both Tehran and Damascus. Any Iranian assistance to Iraq should be given only under the condition that the US not intervene in any manner. Iran's main concern should be portraying the true foreign-funded nature of ISIS, while uniting genuine Sunni and Shia'a groups together to purge what is a foreign invasion of Iraqi territory. 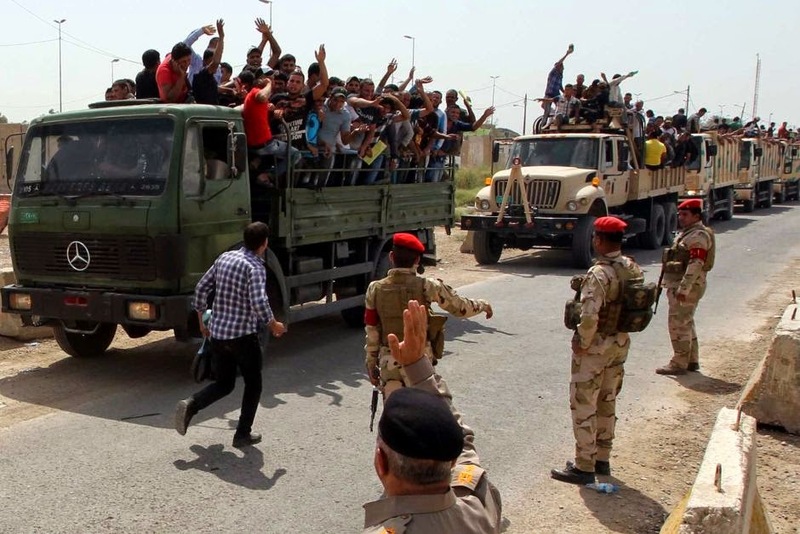 Iran must also begin allaying fears among Iraq's Sunni population that Tehran may try to use the current crisis to gain further influence over Baghdad. While the US downplays the sectarian aspects of ISIS' invasion of Iraq before global audiences, its propaganda machine across the Middle East, assisted by Doha and Riyadh, is stoking sectarian tensions. The ISIS has committed itself to a campaign of over-the-top sectarian vitriol and atrocities solely designed to trigger a wider Sunni-Shia'a conflict. That the US created ISIS and it is now in Iraq attempting to stoke a greater bloodbath with its already abhorrent invasion, is precisely why Tehran and Baghdad should take a cue from Damascus, and disassociate itself from the West, dealing with ISIS themselves.